By the time she reached the age of 14, Jessica Smith was a typical happy teenager, except for one thing: she didn't have a serious boyfriend. In fact, she had never had one, because her mother and father wouldn't allow it. "My parents teach what I used to call the 'no dating' rule," Jessica recalls, with a voice that sounds like she has grown wiser. "When I was in junior high through the beginning of high school, I had a big problem with this issue. All of my friends were dating, and my parents were telling me not to date. How could they tell me not to, when they did at my age? How could they tell me about something they never had to deal with?" It was a question she frequently asked her parents during these times. Jessica recalls the turning point in this debate: "I remember one day, my dad was talking to me about the two different paths that lay before me. He said that one path was this wide path and almost everyone was taking it, but it led to a dead end. The second path was the straight and narrow way that few traveled and it led straight to the heart of the Father. He told me that I would have to decide for myself the one I would take. Of course, I knew he wanted me to take the narrow way, so I wanted to take the opposite." During that time, her father made a difficult and bold decision: Jessica was to sever the friendships that were luring her away. "My parents cut off a lot of my friendships and wouldn't let me talk on the phone. Can you IMAGINE that for a 14-year old?" she exclaims. "I thought it was literally the end of the world. And it was -- at least the end of my world." 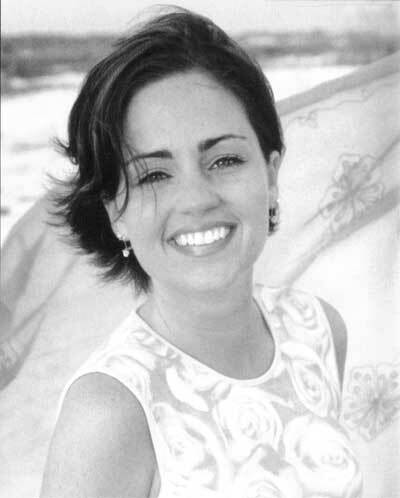 "I don't believe that there was a specific day my life did a 180-degree turn, but a gradual turn," Jessica recalled, "God began to open my eyes and my heart. I had a new best friend and it was my Creator!" In that time, she began to understand her parents' relationship rule. The 'no dating' rule became a 'no dating' revelation. "I realized I wasn't old enough to be getting married,"Jessica said, "so why build a relationship with someone that was probably going to be torn apart?" It became a turnaround in her family life. At the same time, she began to draw deeper into her spiritual life. "As a pastor's kid, you hear the stuff about God and Jesus every day, and you get to the point of 'yeah, yeah, I've heard all of this over and over again.' But by spending time with them and God, I began to realize who I was in Him. I absolutely loved to worship Him!" recalls Jessica. "One night when I was seventeen, I was praying and I cried out to God that if He would give me a new voice with which to sing, I would always use it to glorify His name." Soon after this prayer, she began to express with a powerful new voice -- not only through her singing, but also through her words as she began writing her own original songs. And while she never expected to write songs, it began to come out as a natural extension of singing. "I found that I had certain feelings and thoughts about the Father that I wanted to sing, but I couldn't find songs that expressed it." So while her brother, Jordan, practiced licks on his acoustic guitar, Jessica found herself singing words spontaneously from her heart. Soon, Jessica began collaborating with Jordan; she developed lyrics and melody while Jordan created chord structures. Their first serious work together resulted in the project's first song, "Made Free." Beyond anything else, Jessica hopes the songs and music will help bring people closer to Almighty God. "I want people to know that the God of the universe doesn't have to be some distant, far-off concept to us, but a living and loving being with whom we can be closer than anyone -- and with that kind of intimacy, we can be ourselves in His presence. That's what makes any relationship real." 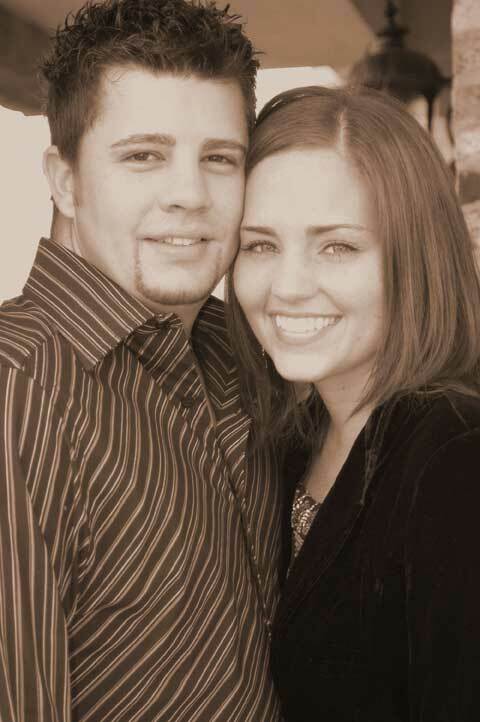 The culmination of this story came on October 22, 2005, when Jessica exchanged vows with her new husband, Trey Wright. "After many years of waiting for my prince to come, he came when I least expected it," Jessica notes. "This process has taught me to put the Father's will before my own desires. I'm at a new place in my life right now and I'm loving every minute of it!" "Do Not grow weary while doing good, for in due season you shall reap if you do not lose heart." Continuing its mission of delivering new worship music through innovative methods, RPJ Records recently announced the release of the label’s first bilingual modern worship project, which was recently featured on Adam Curry's "Daily Source Code" podcast. Adam Curry, one of the original VJ's from cable stalwart MTV, has been a leader in the internet revolution for music, and his podcast "Daily Source Code" is one of the most widely subscribed shows on the Web. He opened his May 8th podcast with "Vencedora." 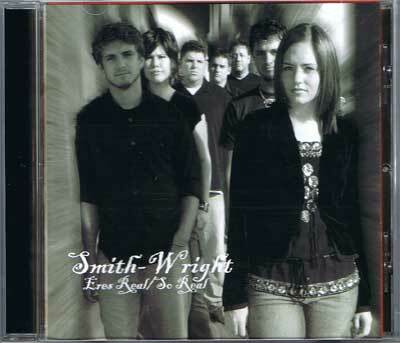 Like its title suggests, Jessica Smith-Wright’s newest CD, “Eres Real / So Real” is the first of its kind. The entire list of songs on the CD is recorded twice: once in English, a second time in Spanish. Likewise, the lyrics for each song are written in both languages in the CD booklet. The idea of a bilingual project stemmed from the work her church does with mission work in Central America. "There's not a lot of good worship music in Spanish in these countries," notes Aaron Smith, Jessica's father and senior pastor at The Rock of Mobile, her home church. "We discussed with our missionaries about the idea of a Spanish language project, and they were excited about the idea." The idea of putting both languages on one CD was inspired by simple economics. "It was cheaper to press one CD with both versions than to press two different CDs," noted Aaron Smith, who also oversees the label. A live tour of Central America is in development for summer and fall 2006 with the cooperation of Jimmy Hughes Ministries. As with all RPJ releases, resources for worship leaders are available for download at the label website at www.rpj.org. These include such items as chord sheets and PowerPoint style display slides for use in worship services. These resources are provided free to worship leaders. RPJ Records releases are available via CD Baby, and are soon to be released through iTunes and other online music services. RPJ Records is part of RPJ Christian Arts Group, an arts ministry based out of The Rock of Mobile Church in Mobile, Alabama, whose goal is to equip churches and artists with new worship music using internet-based and other electronic methods. In addition to the record label, RPJ includes a publishing company (RPJ Music Publishing) a recording studio (RPJ Studios) and a dance studio (Jubilee School of Dance).